I recently returned from a trip to Juneau, Alaska, where I spent quite a bit of time in the state archives. Most of my research focused on the history of small railroads in the state, as well as some Funter Bay history. However, I also came across a few photos that were unrelated but just too cool to ignore. I’ve uploaded the high-res scans of some of these here to share with interested people. Click the previews below for the full size pictures, but be aware they are large files and may take a while to download if you have a slow internet connection! 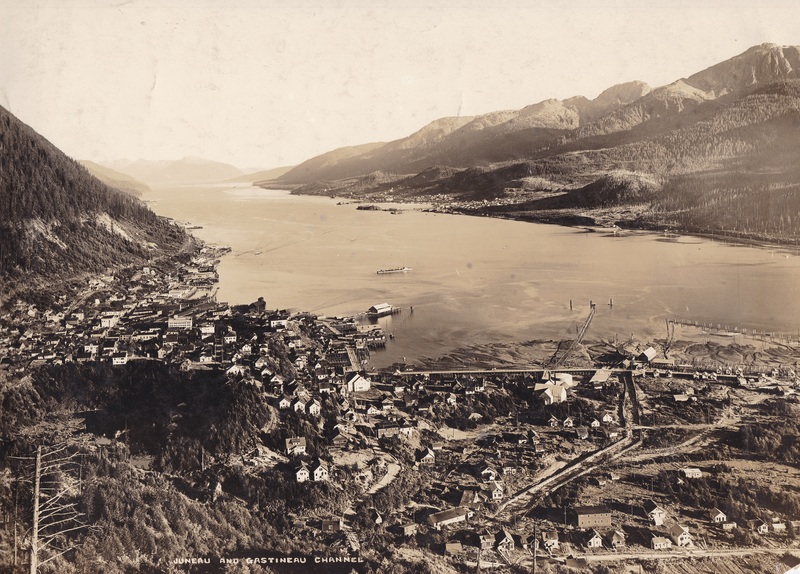 I’ve been invited to contribute some of my Alaska history research to Juneau’s Hidden History, a Facebook group run by local historian and explorer Brian Weed. Brian and his co-contributors have been posting some great photos and stories of their adventures and discoveries around town. These include old mines, historic vehicles and machines, Native petroglyphs, hidden waterfalls, glacial ice caves, and much more! If you live in or are interested in the Juneau area, I highly recommend visiting the page and checking out their great photos! They take you well off (and sometimes under) the beaten path to see the things that don’t make it into tourist brochures! Brian Weed has also written a number of articles for the Capital City Weekly, some of which can be found here. 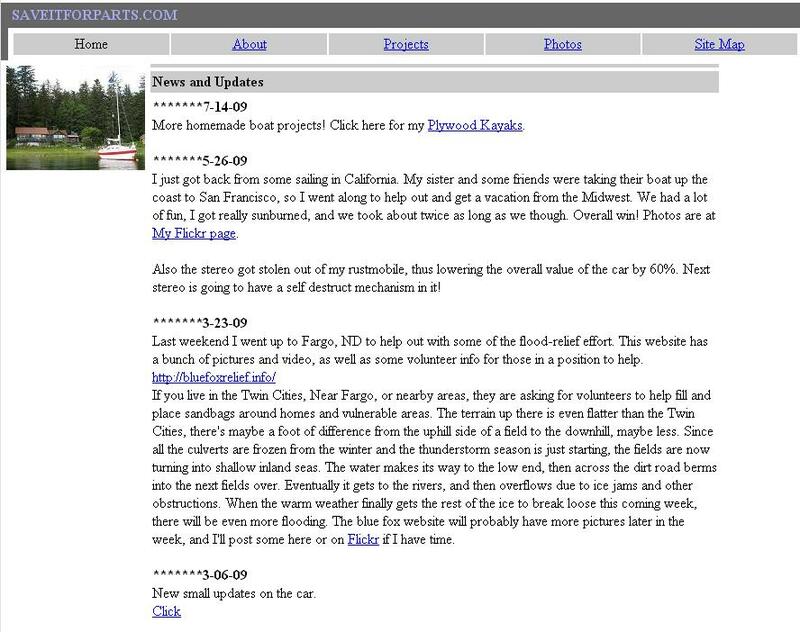 Some of the feedback I get on my Funter Bay History posts involves people wanting to buy or collect old “stuff” (engines, artifacts, etc). In general I believe historic artifacts should be left where they are unless seriously threatened by decay, development, or vandalism. 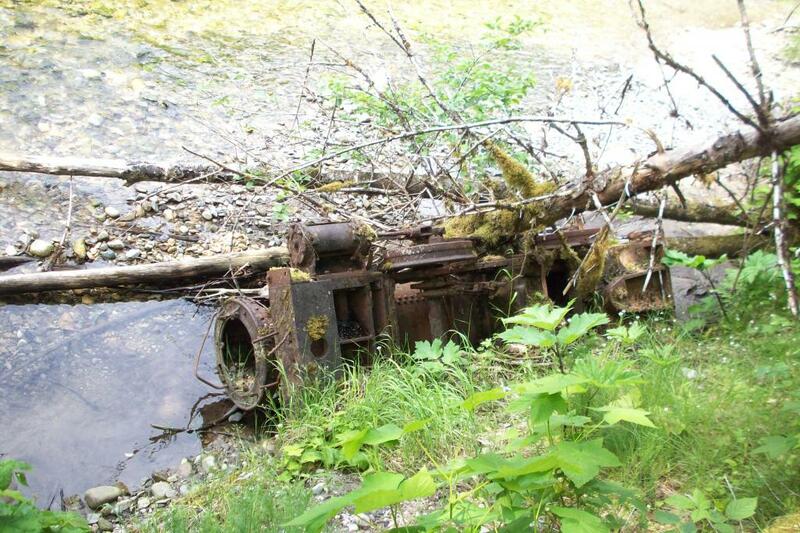 So for example, I’d like to see things like Funter’s big gas engines remain cool lawn ornaments, but the various steam locomotives upside down in creeks and ditches around Southeast Alaska would be better off in museums somewhere. Artifacts from Funter Bay have made their way into a variety of museums, historic collections, and scientific archives over the years. Here are a few that I’ve come across during my research. A rock core sample from Borehole U-18 at Funter Bay, stored at the Alaska Geologic Materials Center. Three pieces of Funter Bay Clay were exhibited in the Alaska Building at the 1904 Louisiana Purchase Exposition as part of James Lathrop’s private mineral collection. The Alaska State Museum holds a number of mineral and rock core samples from Funter Bay, as well as a fossil ammonite and a stone pestle (native grinding tool) found there. The Juneau-Douglas City Museum has a number of items from Funter Bay, including a gGrape soft drink bottle, a soda water bottle, a Pelton wheel part, and a small motor. 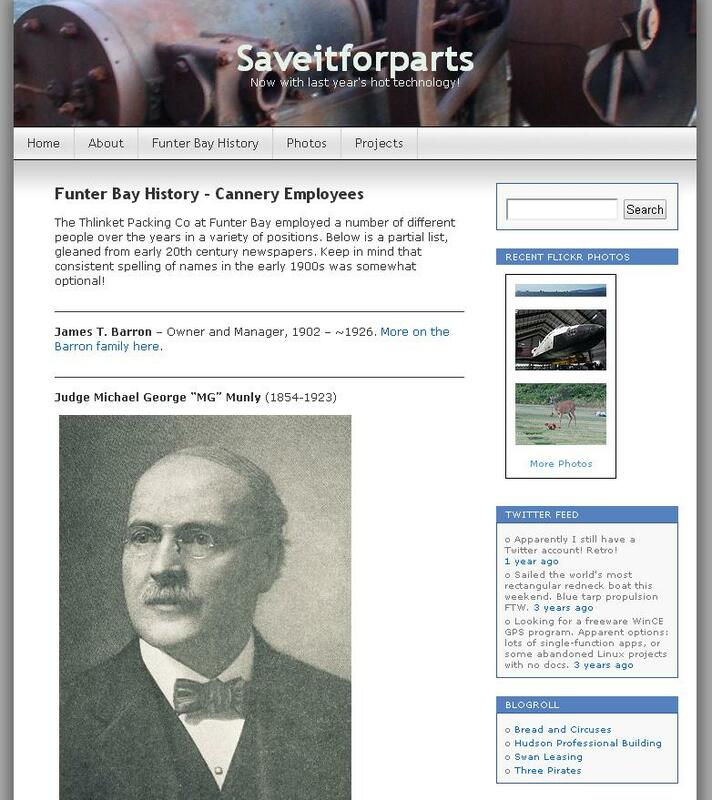 They also have a number of Funter Bay documents, including cannery and saltery applications, a canned salmon label I’ve previously mentioned, and various invoices and receipts for things like dynamite, transportation, and jury duty. In 1903, the Bureau of Fisheries steamer Albatross collected seabottom samples around Alaska, including near Funter Bay. Some data from these samples appears in several articles over the following decade. Many of these appear to have been found in a single dredge sample of mud hauled up from about 300 fathoms in Lynn Canal, just off Funter Bay. In 1905 and 1908 articles on Polychetous annelids (marine worms), author J. Percy Moore noted many such worms in the seabottom mud near Funter Bay. These included plentiful specimens of Lagisca rarispina (Sars) Malmgren (now known as Harmothoe rarispinia), as well as specimens of Nephthys ciliata, Goniada annulata Moore, Ampharete arctica Malmgren, and Melinna denticulata Moore. The latter species was observed for the first time at the Funter Bay sample location. The distribution of this species is listed as “Funter Bay, Alaska”, and a specimen is held by the Smithsonian Institution. Another creature first discovered near Funter Bay (collected by the same Albatross expedition) is Koroga megalops Holmes, a type of arthropod commonly known as a “sand flea”. This particular species has later been found all over the world. A smaller arthropod known as Holophryxus alaskensis Richardson was also found in the Funter Bay samples, named after discoverer Harriet Richardson in 1905. A 1910 Bureau of Fisheries inventory collected 12 specimens of Pallasina barbata (tubenose poacher) from Funter Bay. These are frequently found in eelgrass and around dock pilings. 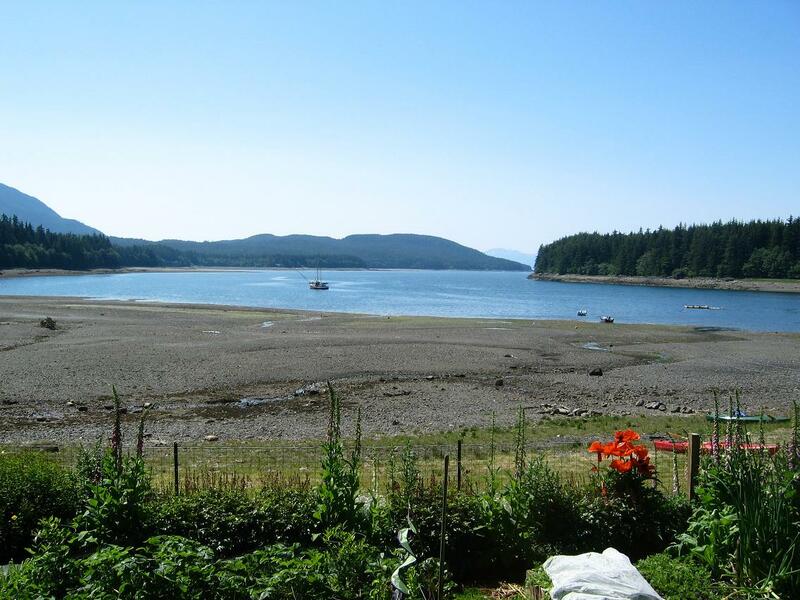 In 1921, the USDA’s Microbiological Laboratory collected samples of seawater at Funter Bay, and found Bact. aerogenes present (link, pg 85-109). It was assumed to be widely distributed through the region based on other samples. (While I am not an expert on microbiology, it appears this organism is now known as Enterobacter aerogenes and is a common gastrointestinal bacteria in animals and humans). Researchers from the University of British Columbia visited Funter Bay in 1957 while conducting a fisheries study. Several specimens were collected around Funter Bay, including Oligocottus maculosus (Tidepool sculpin), Pholis laeta (Crescent Gunnel), and Anoplarchus purpurescens (High cockscomb). When I was younger we would commonly catch these small fish in tidepools and under rocks. Speciments of Agarum cribrosum Dumortier (a type of seaweed) were collected by the University of British Columbia at Station Island, in the mouth of Funter Bay, in 1980. There is a type of soil classified as the “Funter Series” or “Funter Peat” under a 1991 soil classification survey. It is described as “very deep, very poorly drained soils that formed in fibrous peat underlain by loamy mineral materials. Funter soils occur in muskegs on floodplains and stream terraces. Slopes range from 0 to 5 percent”. This is found mostly in the meadows around Funter Bay. 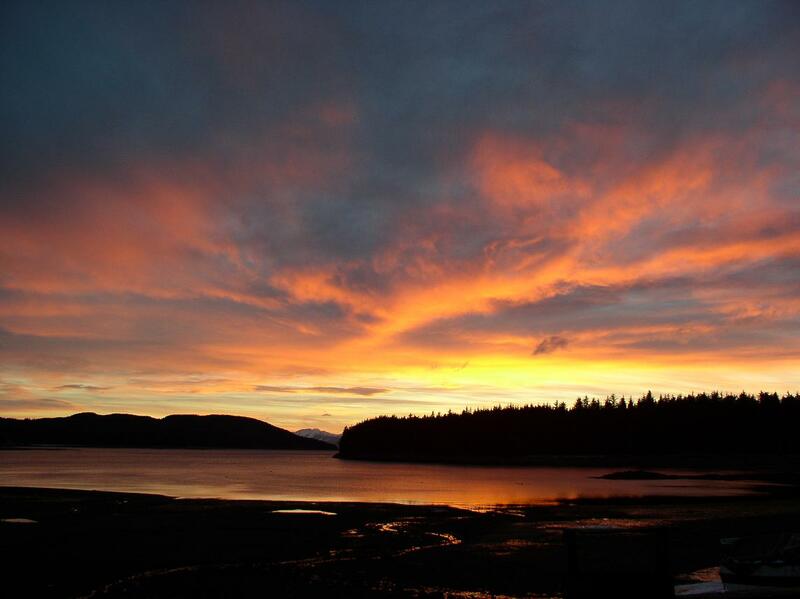 Blackeye Goby and Kelp Perch were sampled at Funter Bay in 1998 by biologists at the Auke Bay Laboratory. A specimen of Enypia venata (variable Girdle Moth) was reported at Funter Bay in a 2012 paper. After I purchased a monorail train from the Minnesota Zoo, I was contacted by some folks from New York who plan to start a monorail museum. As I had apparently become an “expert” at getting 1970s monorail cars onto trailers, they asked me to help with the loading process once they purchased the remaining cars. With larger commercial vehicles and powered winches available, the move went a lot faster! We were able to get 4 cars per load on two trailers. We moved out all 11 remaining cars in three loads this way. On the final trip they also picked up some wheel bogies to add to the museum display. The service barn looks very empty now with no trains parked inside! 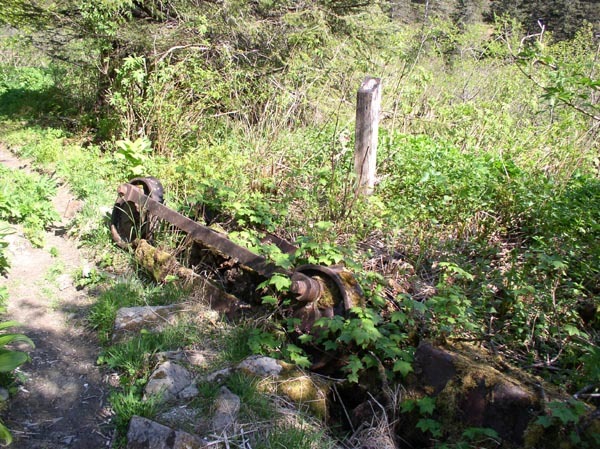 During my research on Alaska’s forgotten railroads, I came across a few incidents of shipwrecked railroad cars. While such events don’t really fit my railroad page, they are interesting enough to document here. Because the Alaska Railroad is not connected to the rest of North America’s rail network, there is a regular traffic of rolling stock on rail-equipped barges to and from Pacific Northwest ports (more info and photos here). 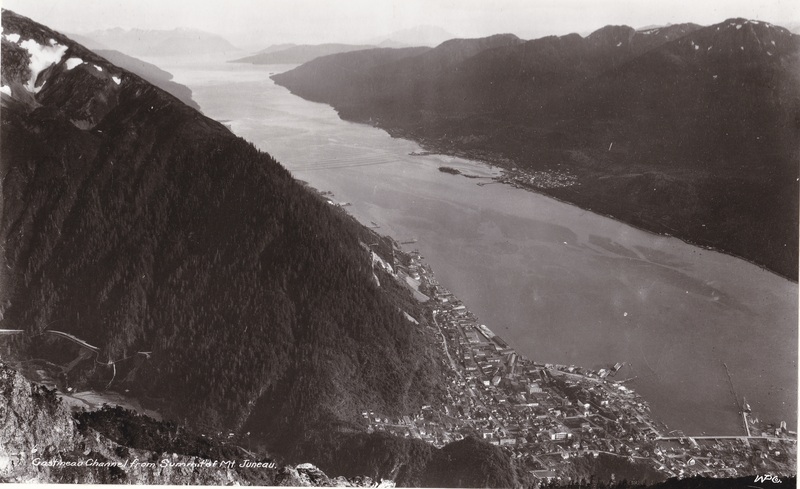 Various other communities and industries have experimented with such service, with stub rail yards appearing in Sitka, Ketchikan, Saxman and Valdez, connected to the outside world by rail barge docks. (This arrangement is also common at BC lumber mills). 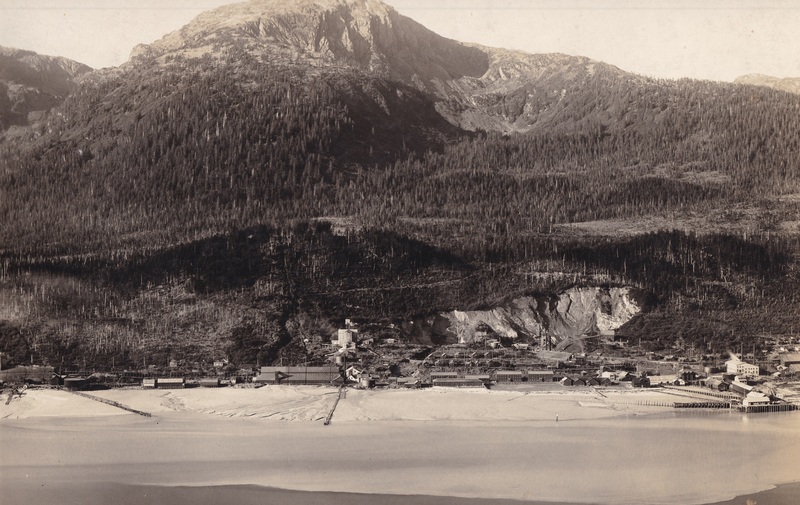 February 26, 1947: The barge PT&B Co 1651 ran aground on Louis (or Lewis) Reef, just North of Ketchikan. Rail cars bound for the Alaska RR were salvaged, but the barge was a total loss. April 1964: Five freight cars of pulp from the Ketchikan mill fell off a barge during heavy weather off Dixon Entrance. Loss was estimated at $50,000 plus the value of the freight cars, which were owned by various railroads. September 27, 1965: The train ship Alaska ran aground in a storm and sustained bow damage, but was able to refloat under its own power and reach Vancouver for repairs. This was a roll-on, roll-off train ferry rather than a barge. A photo of the ship is here, and more information is here. December 13, 1967: The “Hydro-Train” barge Valdez towed by the Sea Witch was driven ashore West of Yakutat during a storm. The tug (another source says it was the Sea Giant) sought shelter in Yakutat Bay but the towline snagged on the bottom and the barge was driven ashore. Heavy waves smashed the barge and 42 loaded rail cars bound for Whittier were lost. October 20, 1987: The tank barge Seattle hit a reef while carrying chemicals to the Sitka pulp mill. In addition to on-board tanks of chlorine and caustic soda, the barge had rail cars filled with sulfer, ammonia, and sulfuric acid. Despite the potential for a hazardous spill, the barge was pulled off the reef with only minor damage. January 1, 1997: The tug Blackhawk departed Whittier with a barge of empty rail cars, and arrived in Ketchikan a few days later with only half the barge. A passing boat informed the tug of the damage, as the crew could only see the front of the barge they were unaware it had broken in half. The Coast Guard located the back half drifting intact southwest of Valdez and it was towed back to port with no rail cars lost. (Some details from the Daily Sitka Sentinel of January 6, 1997). Unknown Date: The rail car barge Griffco went aground near Yakutat and was re-floated. Groundings near Yakutat are somewhat common in this list. The stretch of coast from Cross Sound to Prince William Sound is less protected than the rest of the route to the Gulf of Alaska. There are no sheltering islands to break up ocean wind and waves, and few harbors where vessels can seek shelter. 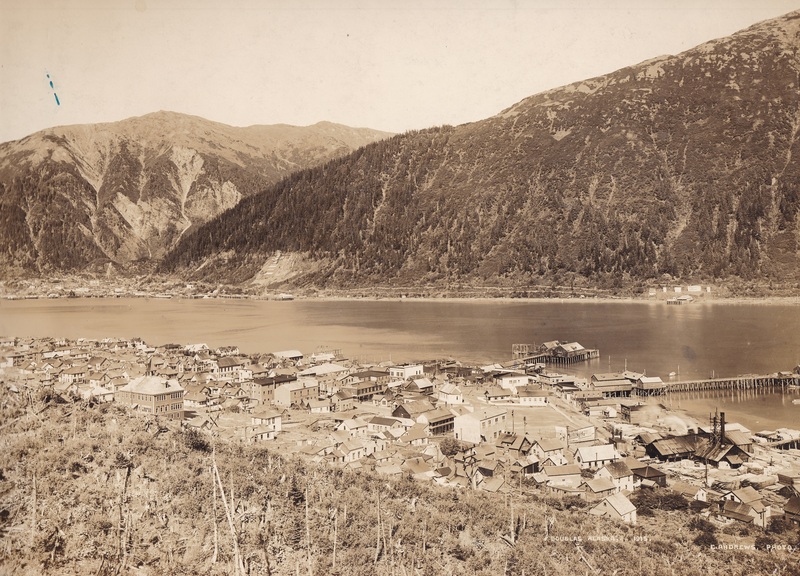 It is sometimes called “Alaska’s Lost Coast”, due to the scarcity of settlements. Boats are frequently driven ashore by strong winds, but the relatively soft sand beaches help reduce damage in many cases. Some examples of wrecks in the area can be seen here and here. The information here is from various sources as noted, as well as alaskashipwreck.com and the Bureau of Ocean Energy Management’s Alaska Shipwreck Table. Many people from outside Alaska inquire about the cold and snow, which usually leads into a discussion of Southeast Alaska’s climate (the rainy season, and the lots-of-rain season). The temperature rarely falls below 0°F in the winter, due to warm ocean currents which reach Southeast Alaska from the Pacific Ocean. In general the climate is similar to Seattle (although wetter and about 10° cooler on average). Between 1980 and 1996 there were on average 214 days a year with precipitation. Rainfall averages about 60″ per year (compared to 37″ for Seattle and 45″ for Vancouver BC). However, it’s not as wet as other parts of Alaska like Whittier (156″), Yakutat (155″) or Ketchikan (141″). Average air temperatures are in the 60s in summer and 30s in the winter, with extreme highs in the 80s and extreme lows in the negative single digits. The water temperature at Funter varies between about 37°F in the winter and 50°F in the summer. Warm enough for summer swimming, especially near the shore. Dark rocks and gravel warm up in the sun at low tide, then help to warm the shallows as the tide comes in. 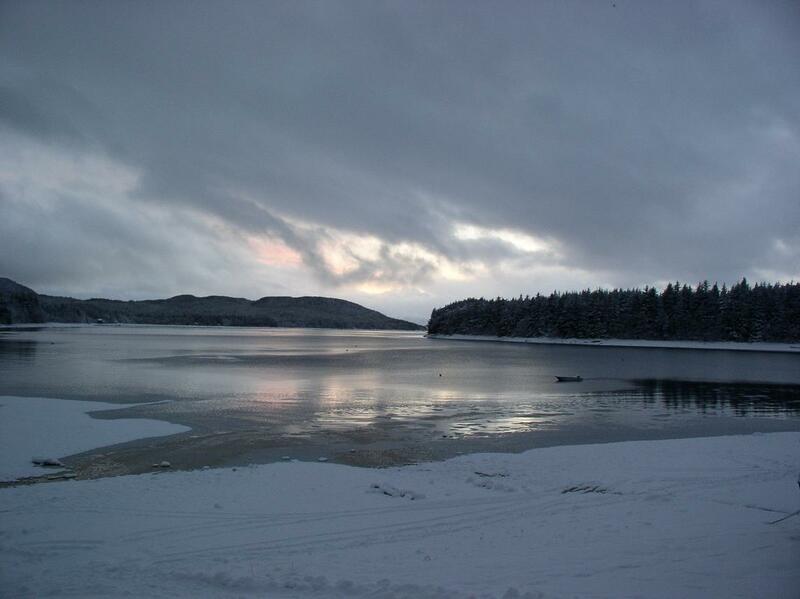 When it does snow, the accumulation can initially be deep (15″ in a 24hr period and 34″ total depth are some of the records). The snow does not tend to last long, instead melting into slush or getting rained on, so total buildup does not get as impressive as other parts of Alaska such as Prince William Sound and Southcentral Alaska. Wind is the major hazard of winter weather. While many sites on the shore are protected from the worst wind by their location and nearby trees, the center of the bay can experience powerful gusts coming in from Lynn Canal and Icy Strait, as well as North wind out of the pass behind the bay. Weather Data from Point Retreat lighthouse shows several storms with 50-60mph winds in Lynn Canal in recent years. Unsuspecting boats have been driven ashore on occasion after anchoring in the middle of the bay (a location shown as a good anchorage on some charts). The public docks are usually better options for secure moorage if a storm is forecast. Weather data from 1961-1996 for Funter Bay, with various summary tables and calculations, can be found here. 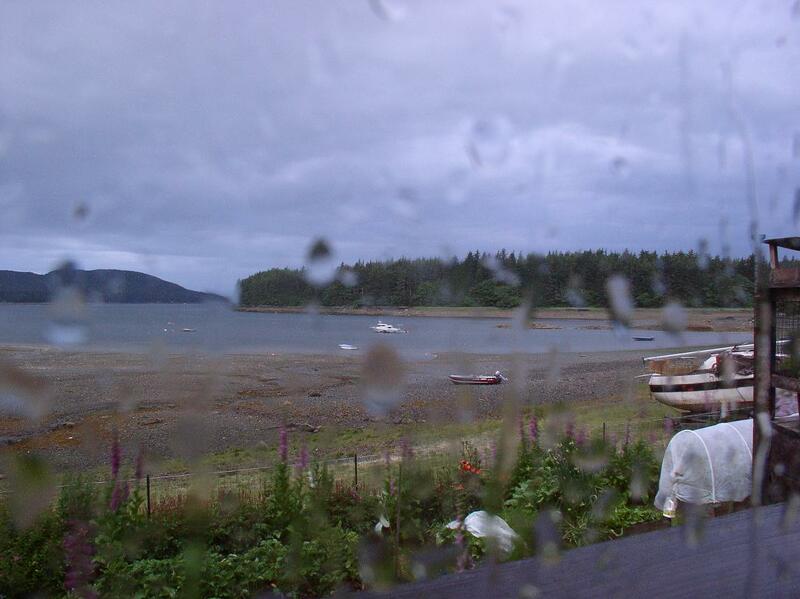 Another collection of weather data for Funter Bay (from 1980 to 1996) is available here. In 1985 the Doyles moved across the bay, the weather station was placed on the inactive list in June, then relocated and reactivated in August (per NOAA / National Cooperative Observer Newsletter). 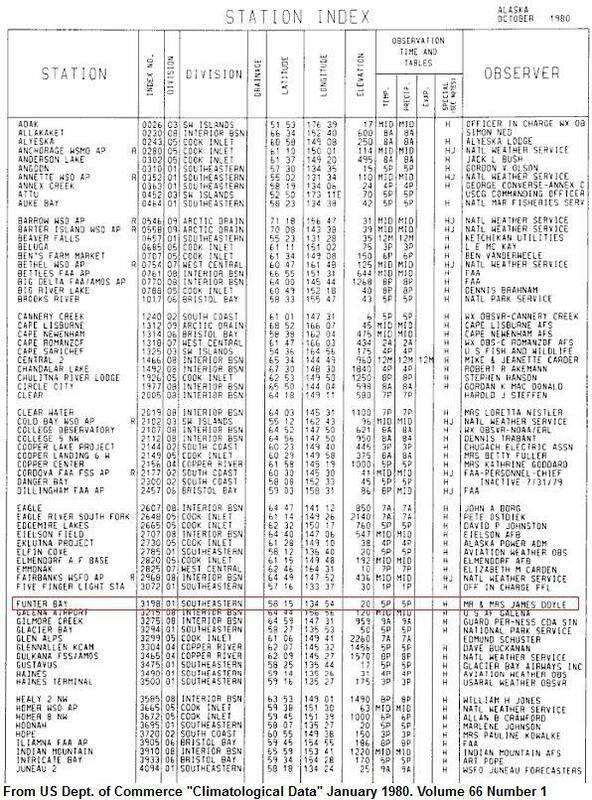 A newspaper column on Alaska weather noted that Funter Bay had the statewide high of 60°F on November 25, 1987 (vs 45° at Juneau and a statewide low of -39° at Umiat that same day). Also of importance to residents and travelers are the tides, which can change the water level 20 vertical feet in a 6-hour period. Tides are a predictable phenomenon based on the gravitation pull of the sun and moon, so tide tables are calculated and published well in advance. However, currents and geography can cause some local variations. For this reason, the government has established tide gauges at various places around Alaska in different years, including at Funter Bay. These would show the offset in minimum and maximum tidal fluctuations. Government documents refer to self-registering tide gauges installed at Funter Bay in 1894, in 1903, 1923, and 1960. 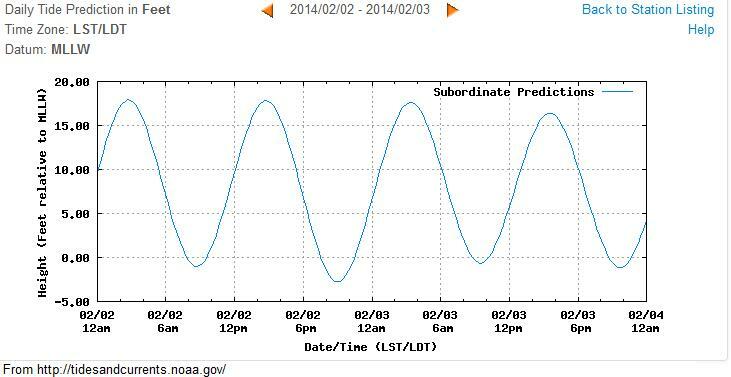 NOAA’s tide data and upcoming tide tables for Funter Bay can be found here. 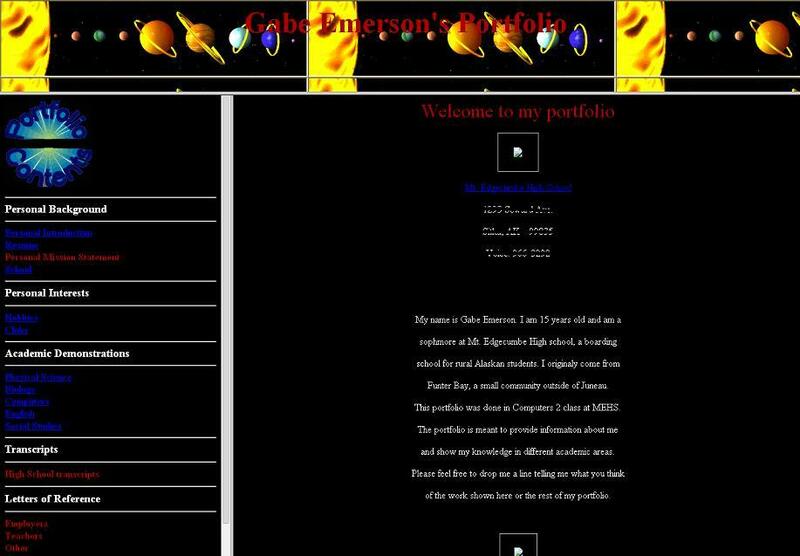 First off, a proto-website, from the murky days of High School. 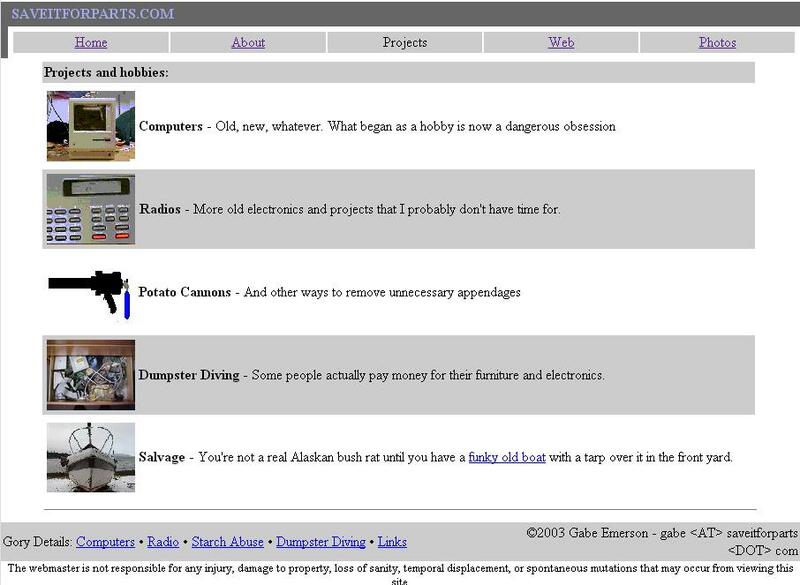 The proto-website “portfolio” never made it onto saveitforparts.com, although I did have it linked until my high school eventually dumped that server in an old WWII hangar like they usually did with old tech (100% true). This look remained into at least 2009, by which time I was only a decade or so behind in moving towards this newfangled blogging style thingy.